Temporary identity for Sevens Lederwaren celebrating their 30th anniversary. The design consists of a simple modification of the typeface Avant Garde Gothic, which results in a modular construction for circle based shapes such as the heart adorning the type. 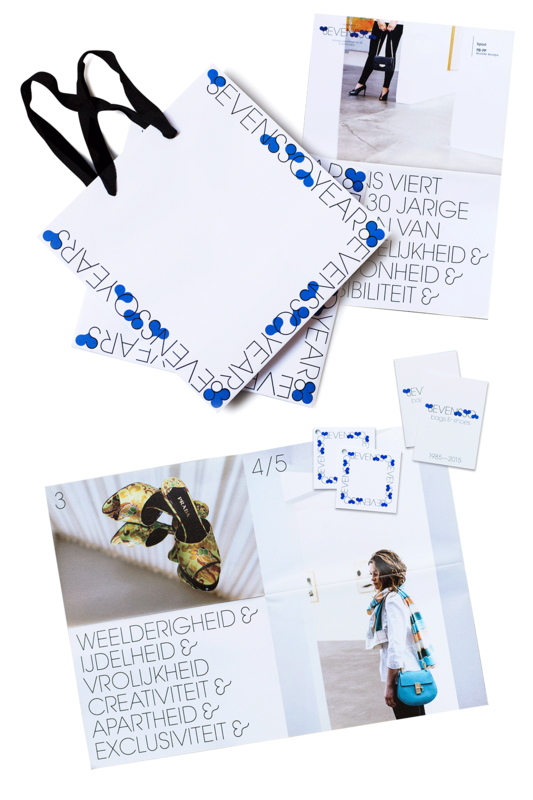 The identity was further applied to invitations, gift packaging, booklets and shopping bags.